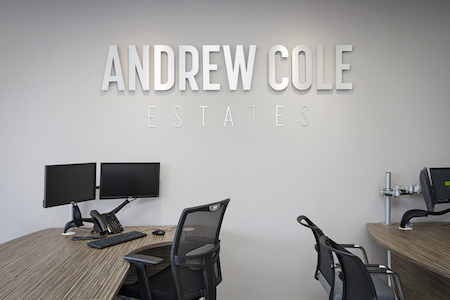 Andrew Cole are a privately owned Estate Agents established in Kingswinford for many years. 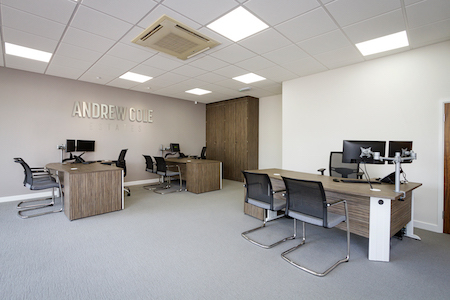 The owner Andrew Cole wanted to remove the dated look and feel of the existing office. 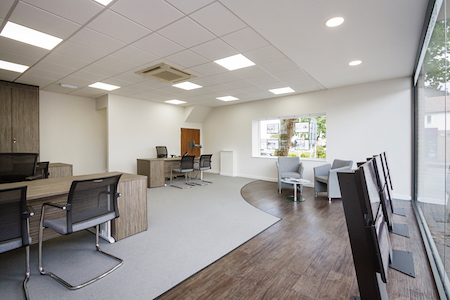 A re-brand was required to create a modern more inviting office which would embrace new technology and increase customer awareness and enhance the customer experience. to an agreed specification and sign off. The existing office was stripped out completely. 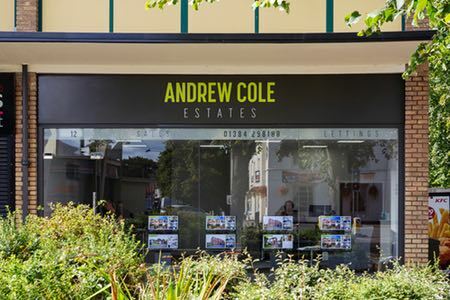 A new seamless full height glass shop frontage was provided. 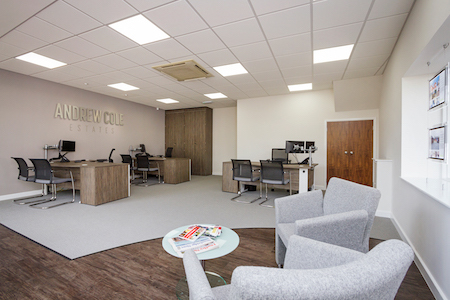 New ceilings, lighting, flooring, decoration, data, electrics, signage and office furniture was provided.